Apple’s next-generation iPhone is said to be just a few weeks shy of its official announcement, but even though the length of time between now and September 9th isn’t particularly extensive, it’s an age in blogosphere terms. If the purported date turns out to be true, then we’ll certainly see a few dozen more leaks as that key date approaches, and having seen a number of schematic drawings in recent times, a new sketch apparently details the protruding nature of the rear-facing camera component. Now, the Cupertino is renowned for smooth design, so while reports that the iPhone 6’s camera would stick out have been incessant, many simply brushed them off as mere hearsay. But as with any rumor, if it lingers around for long enough, people might just start to believe, and while there’s no telling whether this schematic drawing is legitimate or fake, you can clearly see the camera part poking out above the rest of the rear shell. The shooters of the iPhone 5s, iPhone 5 — essentially every iOS device that Apple has released to date — sit relatively flush, which leaves a smooth feeling when held in the hand and also, just looks a lot better. But while the aforementioned whispers of a stick-out camera lens have almost always pointed toward the more sizeable, 5.5-inch variant of the next Apple smartphone, today’s tidbit suggests that the 4.7-inch model will also follow suit. 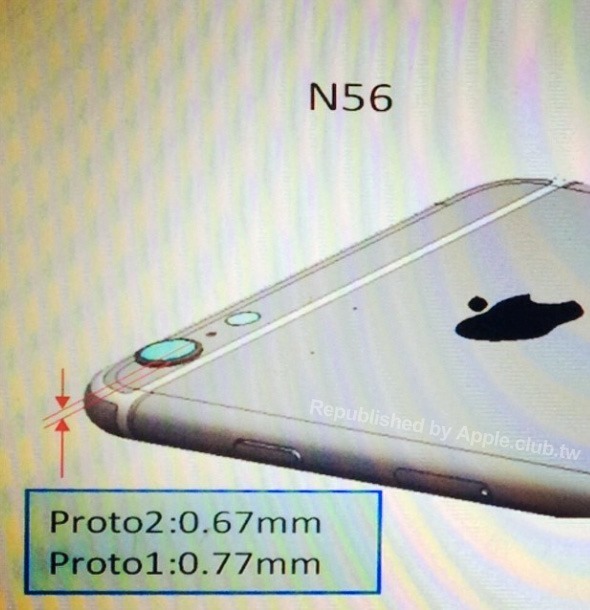 Like almost all of the iPhone 6-related information hitting the Web at the moment, this new info hails from Apple.club.tw, and as well as showing us a schematic of the 4.7-inch iPhone sporting its protruding camera ring, underlines the notion of the device’s overall 7 millimeter thickness in its accompanying report. 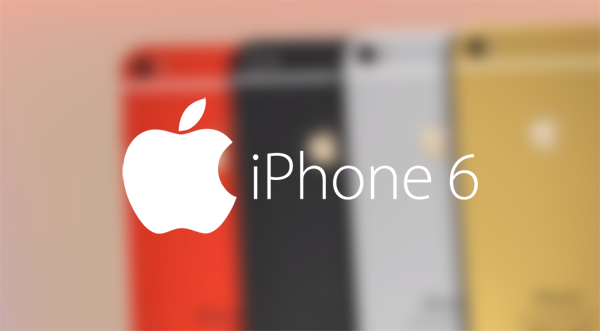 The 4.7-inch iPhone 6 is expected to be announced alongside the larger, 5.5-inch configuration, although given the reports of delays, the latter may not hit shelves until much later on in the year. Allegedly set to carry the ‘iPhone 6L’ moniker, the lack of any real evidence with regards to the bigger iPhone has only enhanced the idea that it mightn’t even see the light of day this side of the new year, and with the Samsung Galaxy Note 4 set to roll out around the time of the iPhone’s showcasing, the Korean outfit’s hybrid could lure in a few more phablet fans than it otherwise might have. this would be extremely half assed if it ends up in retail units. Just the first idea that comes to mind off the top of my head would be to protrude the aluminum around the lens to at least make it look nice. If it does come out like this, it better be functional. Like allowing for external lens attachments or something:p Otherwise, it does look a tad silly. it allows for a ZOOM lens. out of the box. idiots/. umm… why the hell would u enclose an external lens in aluminum. plastic the same as the side buttons which is the same colours is more relevant. My iPhone 4S’ lens protruded slightly, and it got scratched really, really badly just from it being on my desk for the 11 months that I had it. The rest of the device was spotless, though. The lens is THE ONE PLACE (besides the screen) you don’t want any scratches, but this would make it the only surface on the back of the device to come into contact with tables below it (besides the opposing corner). Sorry bro, the iphone 4s didn’t have a sapphire lens cover back then, that’s why it scratches easily, if this 0.77 mm gives room for an extra lens for sharper images and better low light shooting, it deserves this trade off.